One of the most common writing assignments in college involves writing explanatory essays. This essay is also referred to as the expository essay, and it describes your opinion on something. It can also be about the ideas of another person and what you think about them the process to follow or an event that has transpired. Instead of criticizing the information or arguing about its validity, explanatory essays seek to explain it and make it easier for the audience to understand. If young know the basics of building upon topics for explanatory essays, then you are o the highway to writing a good one. Explanatory essays are usually assigned academic papers that can be argumentative or purely informative, The idea of writing explanatory essays may seem daunting, but it can be easy if you understand the pieces and the steps involved in coming up with one. Let us delve into the explicit steps of writing your explanatory essays. Think of the reasons that are compelling you to write explanatory essays and what you hope to achieve with it. You can write down some of the reasons on whatever that you hope to accomplish with your essay. If your essay is an assignment, read the instructions carefully. Anything that you do not understand should be addressed before you can start the writing process. Think of the people who will read your explanatory essays, and consider their needs and expectations before starting the writing process. Write down some of the things you need to keep in mind while working on your essay. If it is a class assignment, consider the expectations of your supervisor and include them in your essay. Take time to think of the ideas that you are bound to write about. Put them don on a paper. You can have inventions like listing, clustering, freewriting, as well as questions, can be instrumental in fleshing out ideas for your explanatory essays. If you settle on the listing, enumerate all the ideas that come to your mind. Go through the list and group similar ideas together. You can expand those lists by adding more ideas or use another previewing activity. If you are doing free writing, you can do it for ten minutes non-stop. Inscribe anything that comes to your mind concerning the explanatory essays. 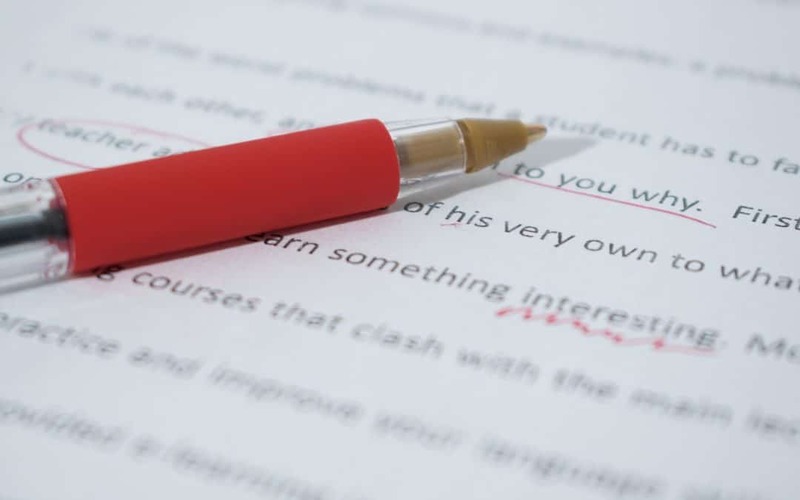 Once you are done, review whatever that you have written and highlighted the most important and useful information for your expository essay. This exercise can continue as you try to refine and develop your ideas. When it comes to clustering, you can come up with a brief explanation of the topics for explanatory essays on a piece of paper and circle it. Come up with and write a corresponding idea at the end of each of these lines. Continue with this process of developing your cluster and create as many connections as you can. If you are using questioning, you can write the 5Ws and 1H (who, what when, where, why, how). Have a three-line space between these questions to help you in answering each one of them in between the spaces. Respond to every question in as many details as you can. Now that you have some of the ideas for your explanatory essays on paper organize them in an outline before you can start drafting the essay. Coming up with an outline helps you to plan for the whole essay, develop more ideas and figure out if you have forgotten anything crucial to the essay. When researching on the topics for explanatory essays, you need to first consult the guidelines of your assignment. Find out about the type of sources that your instructor prefers and are appropriate for this type of essay. You can use books, articles, scholarly journals periodicals, magazine articles, newspaper articles and so on. Reliable and trustworthy internet sources include websites that belong to universities, research labs government websites, and non-profit organizations and so on. The identity of the author and what qualifies him to write about the subject. If the source lacks the author or the author lacks adequate credentials, then the source may not be trusted. Check for citations to ascertain if the author did his research accordingly, and if there are few citations or lack thereof, the source if not credible. Look for biasto ascertain whether the author values givean argument or a slant that is not supported or is thinly supported by facts. Date of publication is also crucial is to ensure if the information it presents is up to date. Cross-check the information from the source and if there are some concerns about the source, crosscheck some of the information against a trustworthy source. If you are preparing to deal with topics for explanatory essays, you have to read your sources well and understand them. Take time to check words and concepts that you do not decipher to avoid misreading and misusing the source. As you read our sources, note down significant passages so that you can revisit them later. Take note of significant information in your sources, you can write them in your notebook. Show when you have quoted a source verbatim and put those words in quotation marks. You have to include the author’s name, book or article title as well as the page number. You also need to write down publishing information on every source. This information comes in handy when you are writing “References,” “Works Cited,” or “Bibliography” pages. The format of this page is subject to the guidelines of your supervisor. From any examples of explanatory essays that you come about, it is easy to tell that thesis statements to express what the essay is going to tackle. This thesis must have an arguable claim. It is usually one sentence in length, but it may be longer depending on the topic that you are handling. When writing your thesis for explanatory essays, refrain from stating matters of the taste of mere facts. You ought to provide enough details in your thesis statement. In other words, do not say something is good or effective. Sow what makes it so. You should start discussing the topic of your essay right from the first sentence of the introduction. Think of what you are going to discuss your essay to assist young in determining what to include in the introductory paragraph. Remember that your introduction should identify the main idea of the explanatory essaysand act as a preview of what to expect. Use an engaging hook that is an anecdote, an informative and attention-grabbing quote a bold statement of opinion or anything that will glue the audience to your work. Give enough background concerning the topics for explanatory essays. This guides the readers throughout the essay. Think of what you want the readers to know and understand from your essay and provide this information from the onset. If your work is based on a book, give its name, the author’s name, and a summary of the plot. If you are writing about a specific day in history, summarize all the events and explain how it fits in the broader historical context. If your explanatory essays are based on a person, give the name of the person and provide a brief biography. Remember that the context should lead up to your thesis statement. You explain everything to the reader concerning the topic and then narrow it down until you reach the topic itself. All explanatory essaysmust have a thesis statement that is one or two sentences expressing the major point of the essay. If your essay is meant to inform, it has to address all the methods for information presented to the audience. You have to know the number of paragraphs includes because most explanatory essays usually have five paragraphs. However, the can go beyond that length and as such, you ought to consult the guidelines of your assignment. Five-paragraph explanatory essays must have three body paragraphs, each of which has a topic sentence that relates to the major idea of the entire essay. Ever paragraph must start with these topic sentences, which are then followed by other supporting sentences, ensure that in every paragraph there is at least one example that supports your argument. Once you have stated your topic sentence, support it with our research. The evidence that you use ought to be in for of quotes, paraphrases, and summaries from the research that you put together. It can also come regarding interviews, personal experiences, or anecdotes. You can use two to three pieces of evidence to support each of your claims. When writing explanatory essays, you have to explain how the evidence connects t your thesis. You canwrite something about the evidence and consider what readers want to know as you expound on these connections. Every paragraph oughtto have a smoothtransition to the next. In your explanatory essays, you need to have everybody paragraph summing up the main point and showing how it works with your next point. In the conclusion of the explanatory essays,you have to restate your thesis statement. Restating does not mean you use exact words you used in the beginning. Put it in using other words that do not negate its meaning. Otherwise, you will distort the purpose of the entire expository essay. You should also say what the evidence that you have provided adds to the topic. Take one sentence and summarize the major pieces of supporting evidence as you have presented in your explanatory essays. Most importantly, do not introduce any new information in conclusion. Go back to your most convincing claim and discuss how they support your main idea. When writing conclusions for explanatory essays, always use your last sentence to take a compelling final statement on your topic.This is where you want to show what happens next in your topic. You can offer a solution or pose a new question concerning what you have discussed. Explain how the topic affects the audience. Let them know about how your narrow topic applies to a broader theme or observation. Call the audience to action or further explore the topic. You can also introduce the new questions hat your essay introduced in the beginning. Writing explanatory essays is not as complex as many would think. However, it takes a little bit of planning and understanding of the requirements of the assignment. Researching is also good for different topics for explanatory essays. It puts you miles ahead in the way that you are going to present your arguments as well as the structure that you are going to use in your essay. Always aim to achieve the purpose of explanatory essays. Write accurate explanatory essays with us!